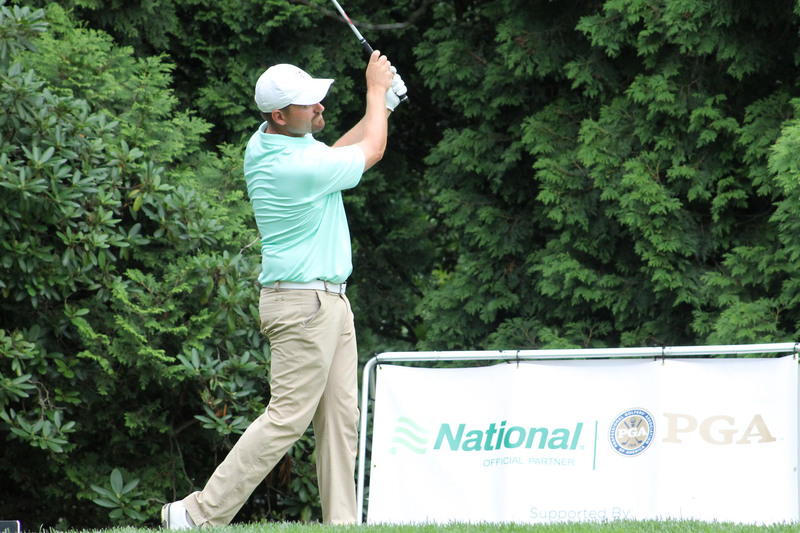 If Upper Montclair’s Tyler Hall had to pick which assistant championship he wanted the most, it would be the National Car Rental Assistant Section Championship. And on Monday, after 36 holes while trading leads with Brian Mackey of White Beeches, Hall earned the third leg of the four Assistant Section majors with a five-stroke victory over Mackey at the Assistant Section Championship at Canoe Brook Country Club. A second round 65, which included eight birdies on the North Course, resulted in a 11-under finish. Mackey held the lead after the morning by two strokes over Hall, but finished even par in the second round. Hall has now won three of the four assistant majors - the Assistant Championship (2017), Assistant Match Play Championship (2015-16), and Assistant Players Championship (2015-16). With the victory, Hall also owns a slim margin over Mackey in the OMEGA Assistant Player of the Year Race. "It’s been fun the last couple of years, to kind of have a little camaraderie, especially with Mackey,” Hall said. This tournament was a qualifier for the 41st National Car Rental Assistant PGA Championship at PGA Golf Club - Wanamaker Course in Port St. Lucie, Fla. There were six qualifying spots for the event. Those qualifiers were Hall, Mackey, Alex Beach of Baltusrol, who recently competed in the PGA Championship last week, Carl Hays and Bryan Dougherty of Hollywood, and Michael Donato of Essex Fells. Donato grabbed the last qualifying spot in a playoff on the second hole with a par.